In advance, I need to apologize for the lack of screenshots. To fit with the series so far, I elected to use the last official, stock version of Android released for the Nexus One: Android 2.3 Gingerbread. Unfortunately for you and me, stock Android prior to Ice Cream Sandwich 4.0 didn't have built-in screenshot functionality (among other omissions). Combined with the difficulty in tracking down the files I'd need to get root access, I ultimately decided it wasn't worth the time for a single editorial. 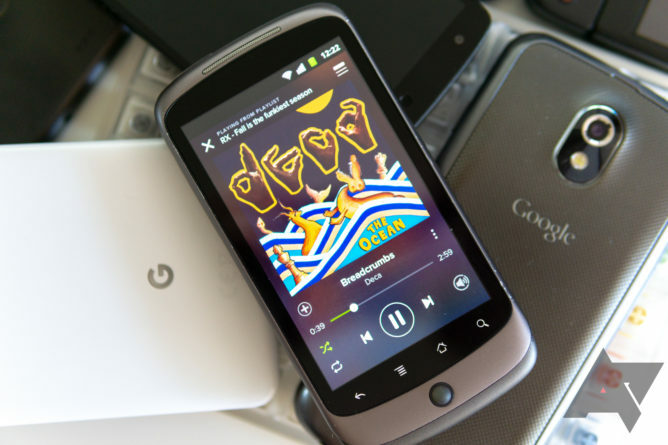 Putting it kindly, the 2010 Nexus One's specs do not impress. The phone was a product of a time when single-core CPUs like the 1GHz Qualcomm Scorpion were among the best you could get. Paired with a 1,400mAh battery, 480x800 display (AMOLED, in my case), 5MP potato camera, and half a gig for both memory and (microSD expandable) storage, it's a far cry from even the cheapest Android Go phone in 2018. At least it used Micro-USB, unlike some even older Android handsets. For this experiment, I didn't already have a Nexus One to play with, so I had to track down a unit via eBay. 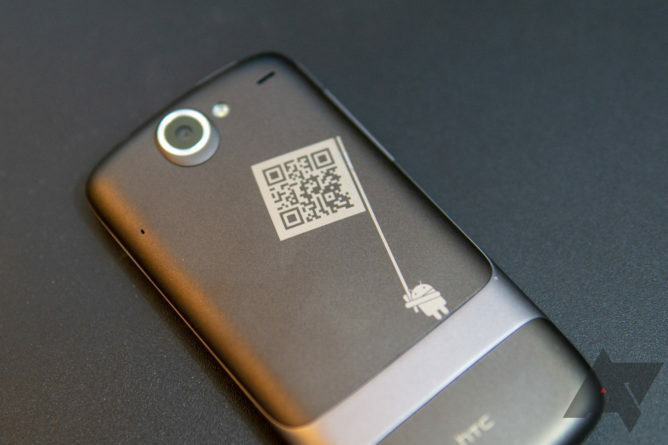 The one I got curiously has a bugdroid waving a flag with a QR code on the back. I'm alternately told by my tech-elders that means it was either from an early batch, owned by a Googler, or a developer model. Whatever the cause, it's a fun touch. The QR code points here. It is now a redirect, but it used to be a game. Once I had it, inserting my SIM card had a disturbing finality, as it took some sanding and finagling to get it inside via an adapter, where it seated itself with a permanent-sounding click. I’d never used Android 2.3 full-time. Before ICS, I honestly didn’t like Android, so there were a lot of things for me as a first-time user of the software to get accustomed to. For one, notifications weren’t “swipeable.” Instead, they had to be blanket cleared, or individually tapped to open the associated app/dismiss. No Market support, limited website support. No Play Store/Market access was a bit of a killjoy. Google discontinued support for Android 2.1 and earlier last year, and based on the errors I got, it must have extended to 2.3. That meant I had to track down any apps I wanted to use via other means — and even that is surprisingly hard to do these days. APK Mirror, though a fantastic site, didn't have much in the way of historical APKs from the Android 2.2/2.3 era. But the Market wasn't the only thing that was broken. 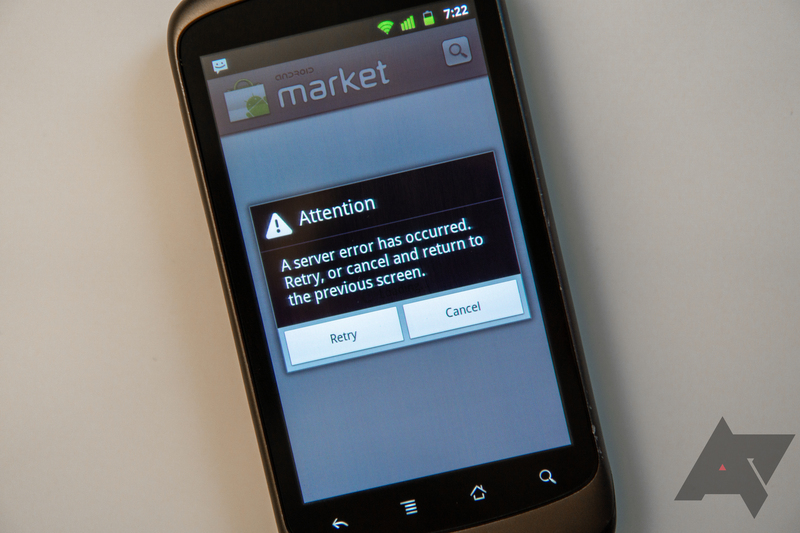 Whole websites and apps couldn't function on the Nexus One. So even if I managed to find the last supported version of an app — for example, the developer of Reddit is Fun helped me out in tracking down older APKs for his lightweight Reddit client — those apps often wouldn't work anyway. In a surprising twist, I was able to get the most important app on my phone to work. I was cut off from the AP Slack and what little social media I can tolerate, but I still had access to my Spotify while walking down the street, riding the bus, or on the subway. I'd figuratively die without Spotify. On the Galaxy Nexus, the limiting factor was external app support, but on the Nexus One many of the built-in services, like the "news and weather" app, didn't work. Even just the built-in browser was functionally incompatible with the majority of the modern Internet. 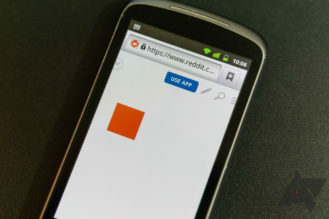 In hindsight, at Corbin's recommendation I should have checked out the last versions of Firefox to support Android 2.3, but the thought didn't occur until my time with the phone was over. I also ran into some usability issues/bugs, like audio playback problems and a blank screen waking the phone. It’d fix itself within a few minutes or with a reboot, and it didn’t happen every day, but it was A Thing. 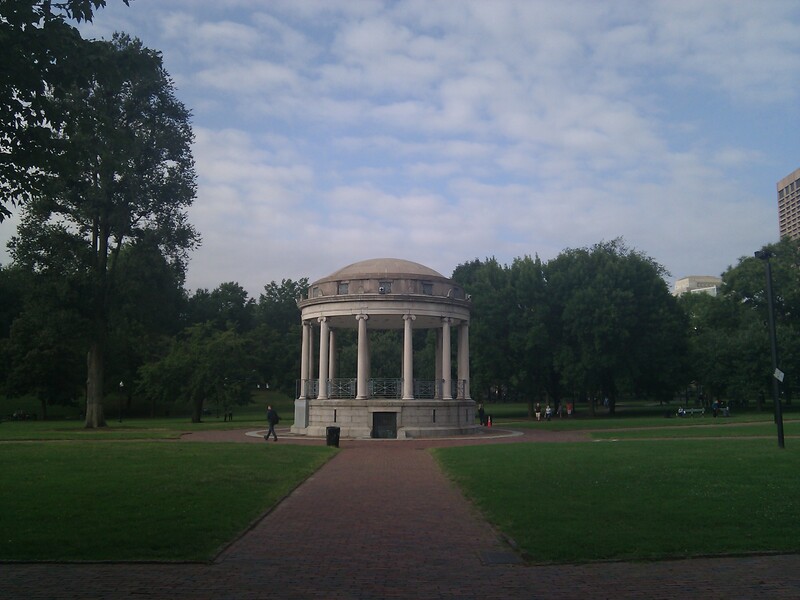 Every other phone I’ve (re)tested so far has been surprisingly free of bugs like that, but the Nexus One still seems to have a couple rough edges that never got smoothed out. 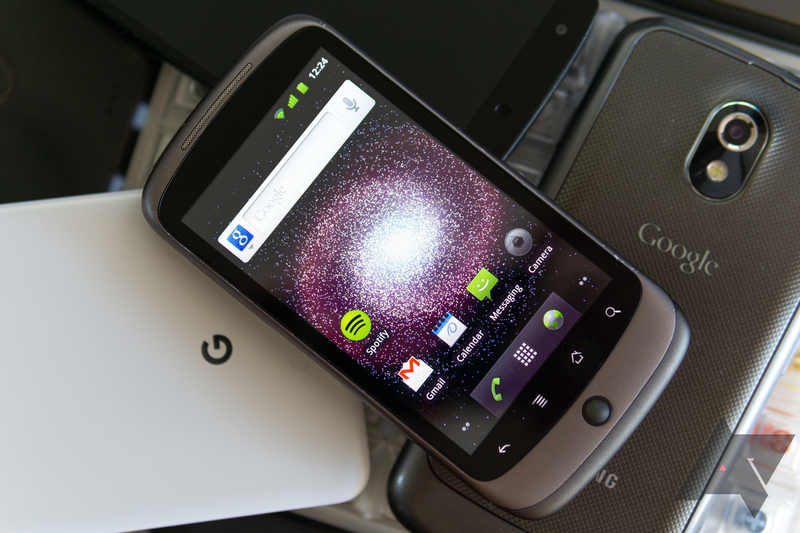 At this point, Gingerbread and the Nexus One are about eight years old. 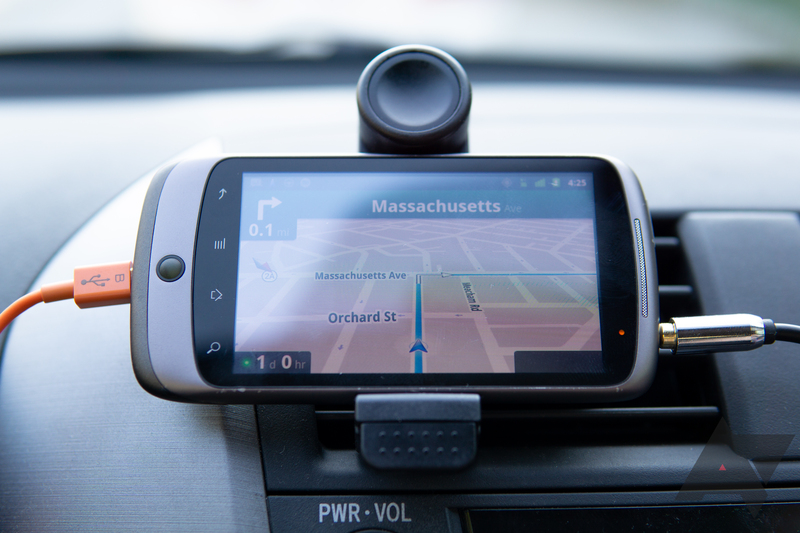 Not having used either full-time previously, I didn't expect turn-by-turn navigation to be present — or if it was, I didn't expect it to be any good. Apart from a stilted, robotic voice and some difficulty with search, navigation was stunningly good. Driving in Boston is difficult at the very best of times, and without some type of navigation aid, it can be a little dangerous if you end up in an unfamiliar spot at a busy time. 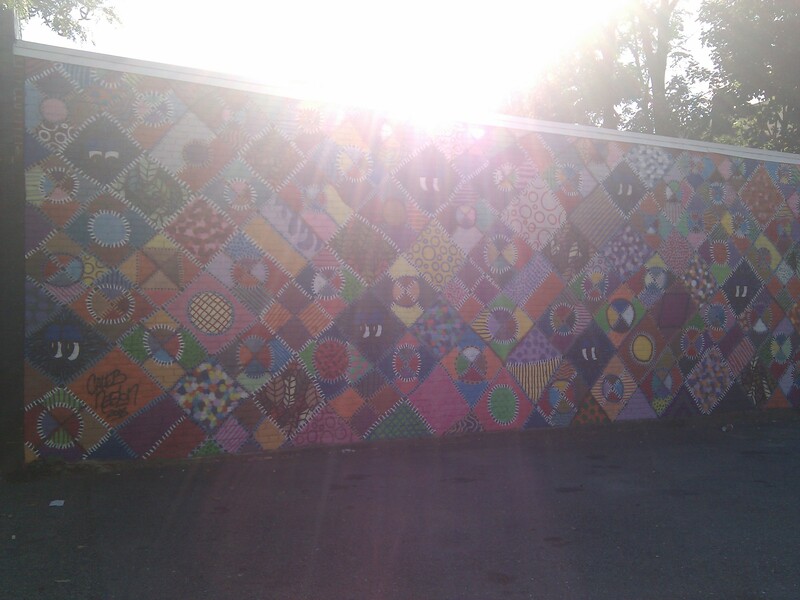 So while I went into this with some concern, the Nexus One handled it fine. 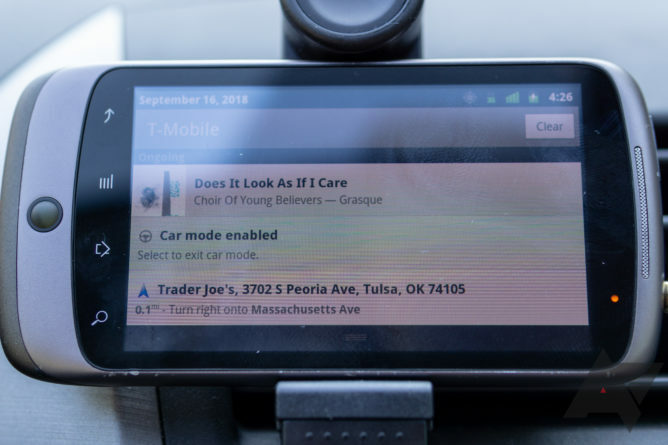 The “Car Mode” and beta navigation mode worked almost as well as Android Auto’s standalone app and its modern Maps navigation. Spotify even had no problem running in the background. Alright, so I couldn’t control my music without stopping, searching for addresses by name would sometimes try to send you across the country, and turn-by-turn instructions sounded like they were being shouted down a corrugated steel culvert. Still, I couldn't believe how well it all worked together for a phone from 2010. A search for "Trader Joe's" had the built-in navigation taking me to Oklahoma (from Boston). Given how much harder turn-by-turn navigation should be, one would expect the basic Maps experience to be alright too. That didn't end up being the case. The app would launch fine and start seeking your location as it quickly downloaded the local view, but then it would do it again, and again, continually refreshing. That made it pretty difficult to use. Weirdly, if you left the app to switch to something else like Gmail, it would sometimes re-open, stealing focus to continue repeatedly reloading. There were some anecdotal repercussions. Due to a closed street for a local festival, my bus to lunch on Sunday was rerouted. The browser was too slow and incompatible with modern sites for me to research the new route on the go, and Maps was too erratic for me to get a proper view of where I was, so I had to make my best guess where to jump off in a slightly unfamiliar area. Well, I guessed wrong, so I spent a good chunk of that afternoon walking — again, without working maps for pedestrian navigation. It was a pretty hot day, so lunch was both delayed and a little sweaty. 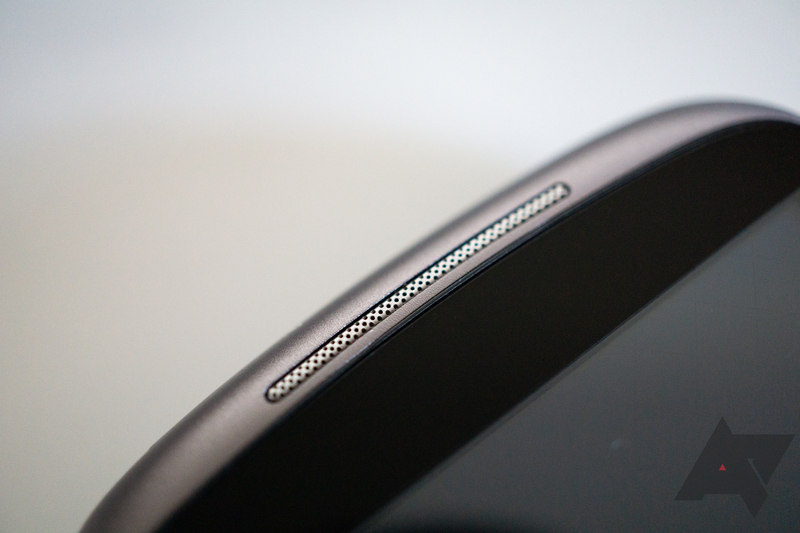 Build quality for the Nexus One was slightly impressive. After using the Nexus 5 and Galaxy Nexus, which were both creaky plastic, the Nexus One's two-part construction felt much nicer. 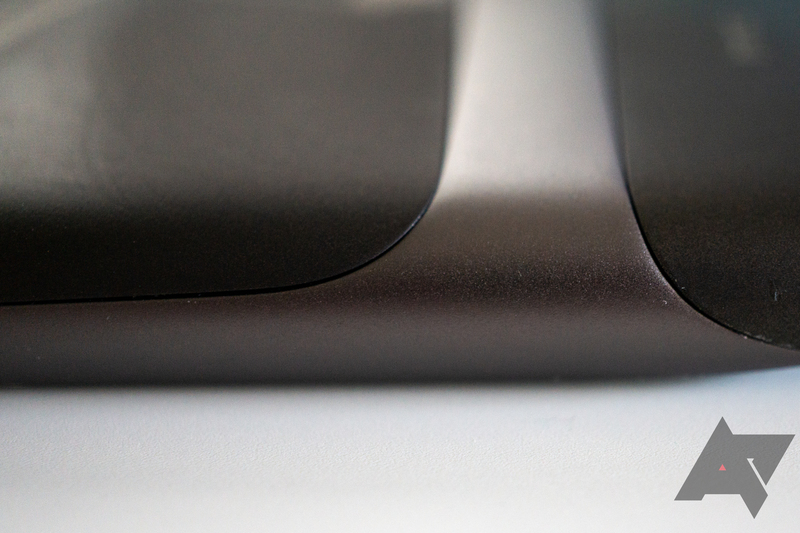 Sure, the hardware navigation buttons were anachronistic and the trackball was more of a curiosity than a feature, but the plastic, glass, and aluminum sandwich had a pleasant curve and texture. It wasn't perfect: there were some inconsistent gaps on the back, and it creaked a bit when it flexed, but compared to the other phones I've been using, it was pretty nice. 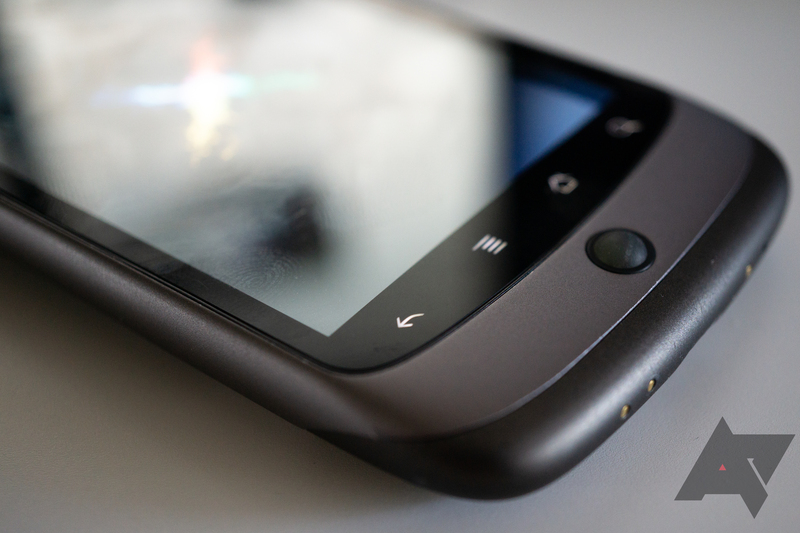 I’ve been a fan of HTC’s build quality for years, and in my journey backward, the Nexus One stands out for the character of its heft. 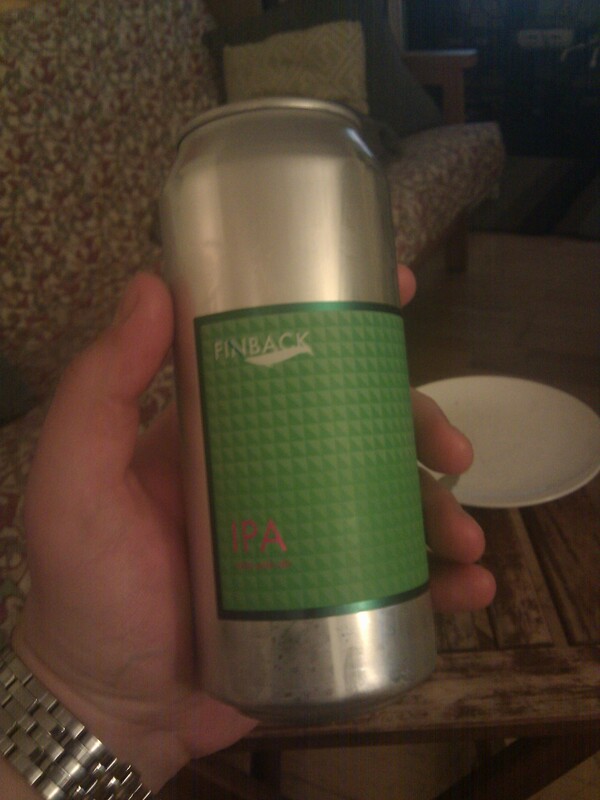 In other ways, the hardware isn't that great, though. Performance on the single-core CPU required a lot of patience — though I'm sure my limited app selection helped keep things manageable — but it was far from my only complaint. I’m sure it was mostly a lack of apps to use it, but the missing front-facing camera surprisingly wasn’t a problem. I've been thinking of what it might be like to lose the selfie-cam as a sacrifice against the notch, so it was interesting not having one for a while. 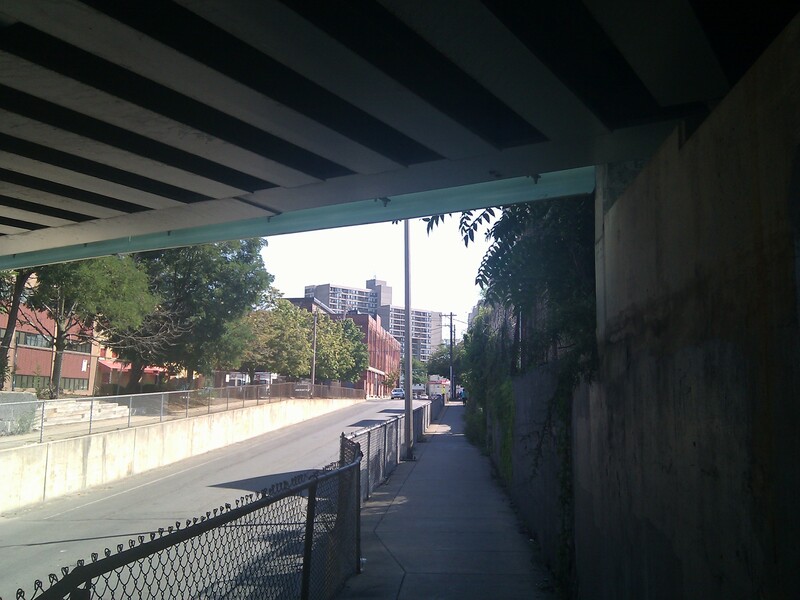 Camera woes aside, my two biggest gripes with the Nexus One's hardware are both related to its screen. It was AMOLED, but that's the only good thing I have to say about it. The low resolution and pentile configuration resulted in super fuzzy, grainy text. And the tiny 3.7" size made for difficult input. Typing full and complete sentences on it required patience, and I was much more prone to errors like missing spaces or duplicated characters. Without Gboard to fix things, that meant some pretty tedious editing or just accepting my slurred SMS. At some level, I'm a bit upset that I'll never get to know what the Nexus One was actually like when everything on it worked. I wanted one terribly when I was I was younger, and the shape and design of its hardware always impressed me. Unfortunately, it's an experience I didn't seek in time, and now it's gone. 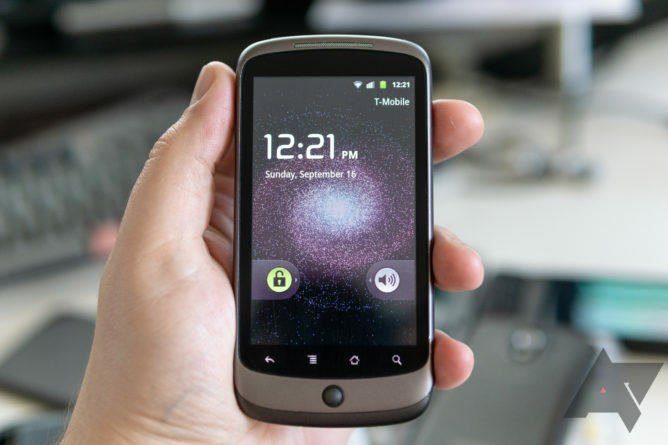 All that's left to the Nexus One now is a general incompatibility with the world, testing the limits of the term "smartphone" without things like a working Market or browser. This journey back in time has been fun — at least, in the abstract. Starting with the Galaxy Nexus, I began to see a real dent in my productivity, though, and on the Nexus One, that's only gotten worse. What was a nostalgia trip is getting dangerously close to archaeology, and without a backup phone, there are things I just can't do. I think I have one more phone left in me before I give up, though.